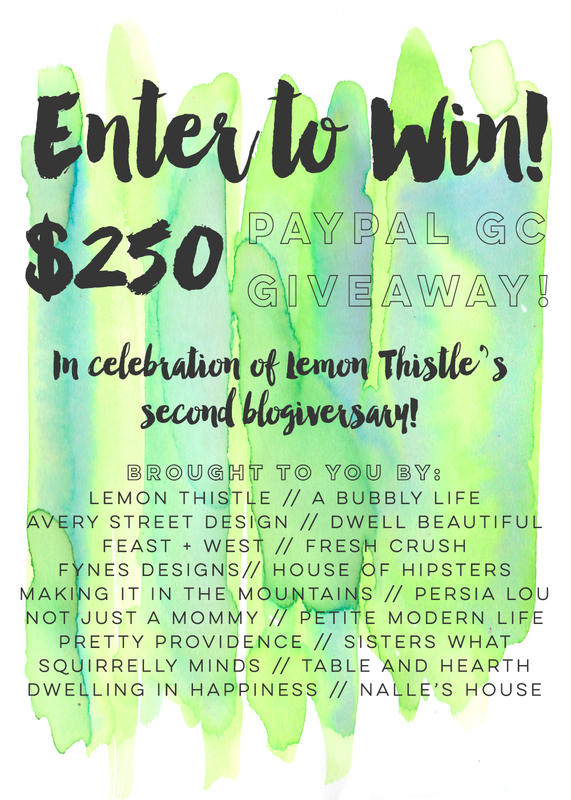 ' Celebration of Lemon Thistle Blog || Giveaway - Sisters, What! We're so excited today to be part of our fellow bloggers Lemon Thistle's Second Blogiversary. Along with a few other bloggers, we are helping her host a $250 pay pal giveaway. And you really need to check her blog out, she has some seriously brilliant stuff on there.